After failing to make the playoffs last season, Pistons owner Tom Gores made the call to change course. Ed Stefanski was hired to run the front office and his first big move was to hire Dwane Casey, reigning NBA Coach of the Year. The roster is set, a new coaching staff and front office is in place and training camp is around the corner. In the days leading up to its opening we’ll look at each player on the roster and assess how he fits into the puzzle for the 2018-19 season. Today: Bruce Brown. 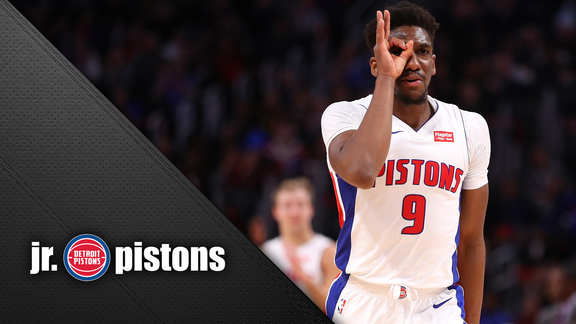 Thursday: Stanley Johnson. Last year in review: Brown spent an injury-plagued sophomore season at Miami that included hand and foot ailments. The injury to Brown’s left foot required season-ending surgery in early February. Brown played 19 games. His stat line tells the story of why Ed Stefanski, running the front office since being named senior adviser to owner Tom Gores in late May, identified Brown as a player he wanted to bolster a wing corps thinned by last winter’s trade for Blake Griffin. Brown averaged 11.4 points, 7.1 rebounds and 4.0 assists. His 3-point shooting slumped to .267 after a more promising .347 as a freshman, possibly due to the effects of his hand injury. Brown led the Hurricanes in rebounding and assists and was one-tenth of a point off of the scoring leader, first-round pick Lonnie Walker. Career at a glance: Brown, a Boston native, was ranked the No. 30 recruit in the class of 2016 by Rivals.com, committing to Miami in November 2015 over offers from hometown Boston College, UConn and Auburn, among others. He spent his final few high school seasons at Vermont Academy. Brown became a cornerstone player immediately under veteran coach Jim Larranaga, finishing third in scoring and second in rebounding, assists and minutes played for a 21-win team. Brown stamped himself as a potential lottery pick late last summer at the showcase Adidas Nations event before a throng of NBA scouts, shooting extremely well from the 3-point arc. Anticipated role: Brown’s versatility, physical maturity and defensive mindset figure to serve him well and give Dwane Casey the flexibility to use him in a variety of situations and positions. Brown could provide minutes at point guard, shooting guard or small forward and he could conceivably guard four positions. Brown tested as the strongest player at the NBA draft combine in May. He’s nominally No. 3 on the depth chart at small forward behind Stanley Johnson and Glenn Robinson III and will compete with Langston Galloway and fellow rookie Khyri Thomas for minutes at shooting guard behind Reggie Bullock and Luke Kennard. It will be a good season if...: Brown establishes himself as a legitimate option at multiple positions for future roster construction. When the Pistons grew thin at point guard in Summer League, Brown handled the transition without disrupting their ability to function. Given the veterans ahead of him at all three positions Brown is suited to play, it’s likely he’ll spend a good chunk of his season playing for the G League’s Grand Rapids Drive. With Ish Smith and Jose Calderon both due to hit free agency in 2019, Brown’s ability to handle point guard would give the Pistons flexibility in putting together their roster beyond this season. Improving his 3-point stroke and becoming a better finisher in the paint – he gets there plenty – will be high on the list of developmental goals for Brown’s rookie season.